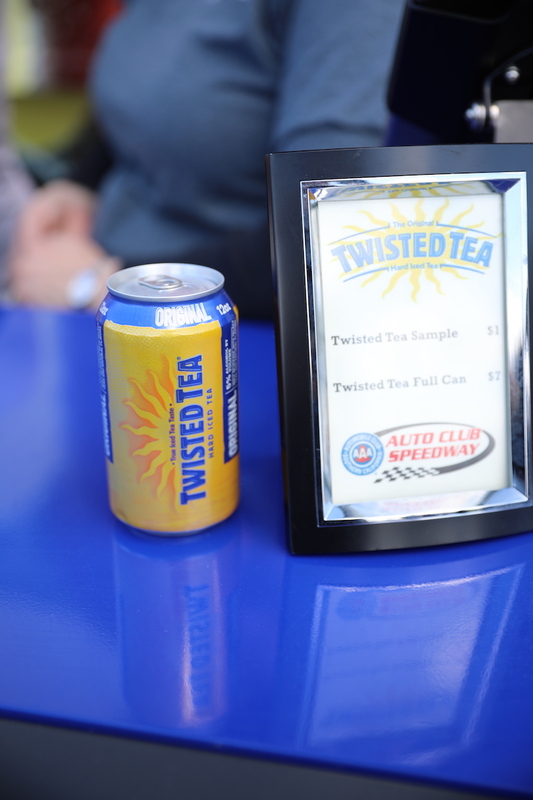 #UnwindWithATwist with Twisted Tea’s Tailgating Tips! I love tailgating at a sporting event almost as much as I love the event itself. 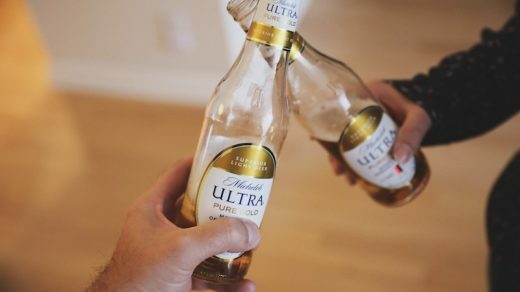 There are so many things to look forward to, from hanging with my best buds to eating ALL of the food to sipping a refreshing Twisted Tea. 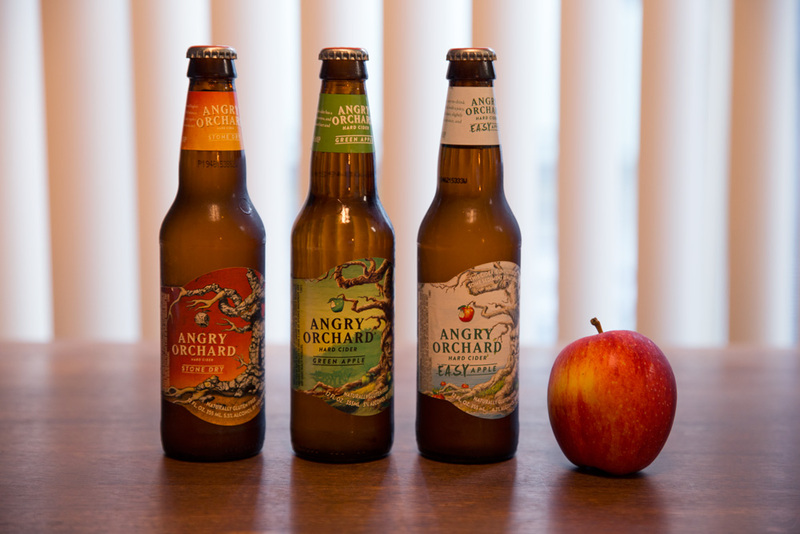 It’s a trifecta of fun! There are many things that are involved for a tailgate to be the best it can be, but nothing is as important as having the right people there. Make sure you pick your crew wisely. I personally think I have a well-rounded group of friends, each with their own special toolset. The “Game Pusher” is the friend who is always up for a game of corn hole. The “BBQ Master” keeps the grub hot and ready. And “The Bartender” is the one who makes sure the Twisted Tea is flowing. Keep the food simple or go crazy. Whatever you choose to do, make sure you are grilling, dudes! At the Twisted Tea RV tour event I was at in Fontana, they had a BBQ chef cooking up some amazing hot dogs wrapped in bacon with a Twisted Tea glaze. It was AWESOME! A staple for any good tailgate is corn hole. I recommend bringing two if you can swing it so you can have multiple games going. Of course, you all have smartphones, so download a group game and start playing. There’s nothing better than eating, drinking, and gaming at your tailgate. 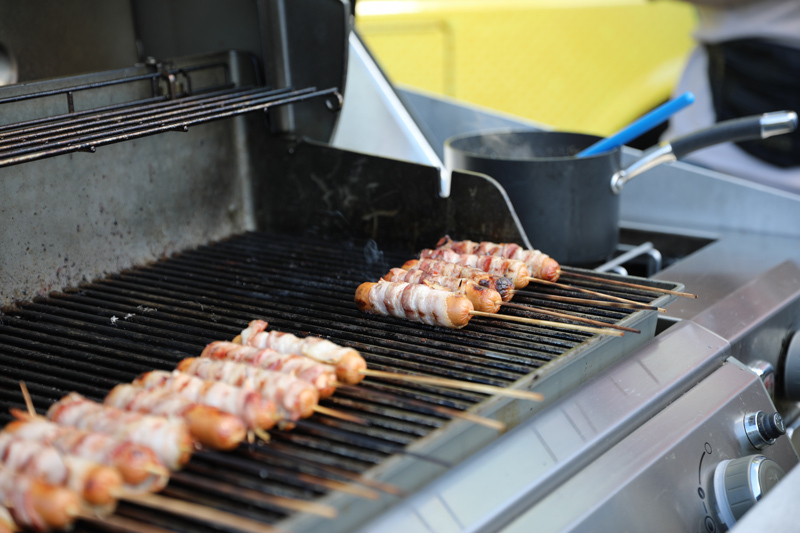 Outside of a few cold sporting events, most tailgating happens under the hot sun. Make sure you bring a good cooler and a few extra bags of ice to keep the Twisted Tea ice cold. 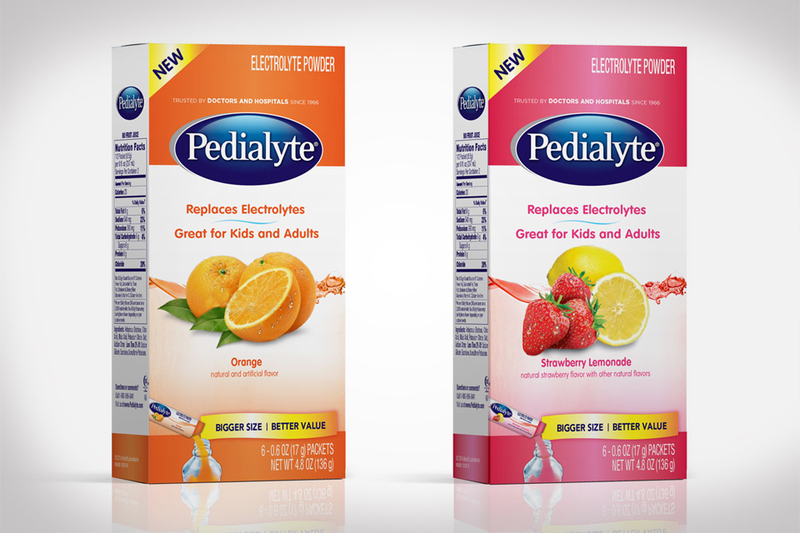 Your tailgating crew will thank you. Bring a wireless speaker or two and get the party started. Have a few playlists ready to go on your favorite streaming app and click play. Hey, relax, nothing is perfect. Chances are you will run out of food or something else at your tailgate. Sit back, listen to the music, and crack open a refreshing Twisted Tea and enjoy your company. Besides, before you know it you’ll be in to watch the race anyways. It’s always a good idea to plan ahead and setup who will be your designated driver. Either that or make sure all your (21+) Twisted Tea drinking guests are using a car service to get to and from the event. Safety first, friends! 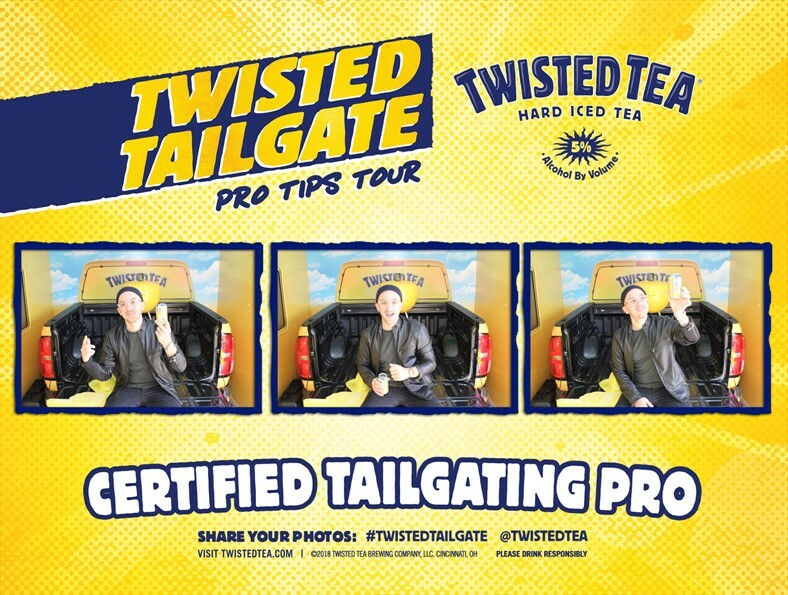 Sharing in my love of tailgating, the folks at Twisted Tea are hitting the road in their Twisted Tea RV with the mission to inspire (21+) drinkers around the country to not only tailgate, but to tailgate like a pro. How you might ask? Let me fill you in. 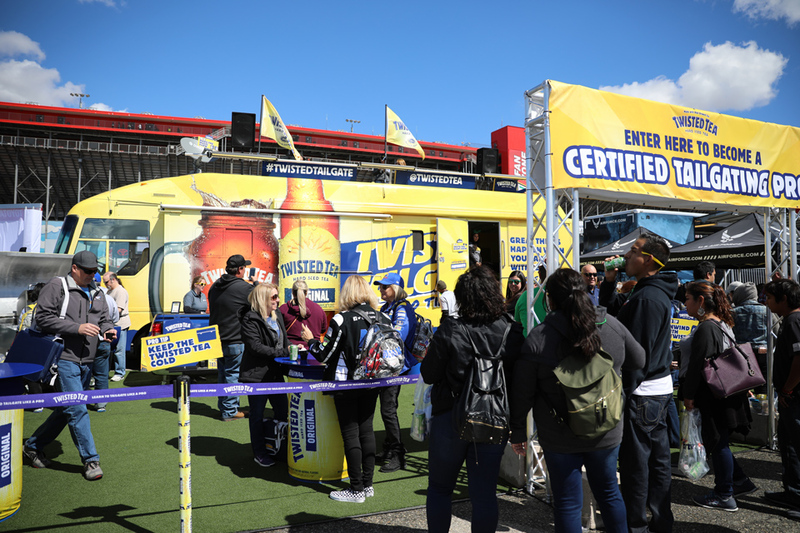 At NASCAR races around the country, the Twisted Tea RV will be there in full effect serving up some of their delicious Twisted Tea, BBQ, tailgating games, celebrity appearances, and more! Speaking of celebrity appearances, here is Casey Webb (Man vs. Food) having a good ol’ time with the corn hole game. You might just see him in person yourself at the next race. On March 17, I had a firsthand experience with the RV at the Auto Club Speedway in Fontana, CA. There, the Twisted Tailgate RV was parked in the fan area, just outside the entrance to the race. There was delicious mini corn dogs and bacon wrapped hot dogs with a Twisted Tea glaze, and of course, Twisted Tea. For a chance to have your own Twisted Tailgate with the actual Twisted Tea RV, submit an entry on TwistedTea.com. It’s as simple as sharing a photo on your social channels and tagging #TwistedTailgate. You got this! Make sure you’re following @TwistedTea on Instagram, Facebook, and Twitter to know where the Twisted Tea RV is going next. And if you happen to have a tailgate of your own with some Twisted Tea, tag #TwistedTailgate so we can see your pro tailgating form. This post was sponsored by Twisted Tea. All opinions are my own.